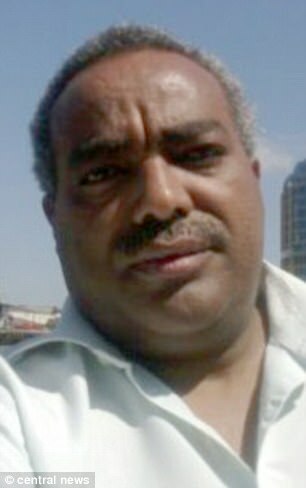 University lecturer given UK asylum, Dr Tadesse Kersmo, was arrested by counter terrorism officers – Satenaw Ethioopian News & Breaking News: Your right to know! A university lecturer who was granted asylum in the UK allegedly flew out to an Ethiopian terrorist training camp and was caught with a ‘Terrorism for Dummies’ manual. 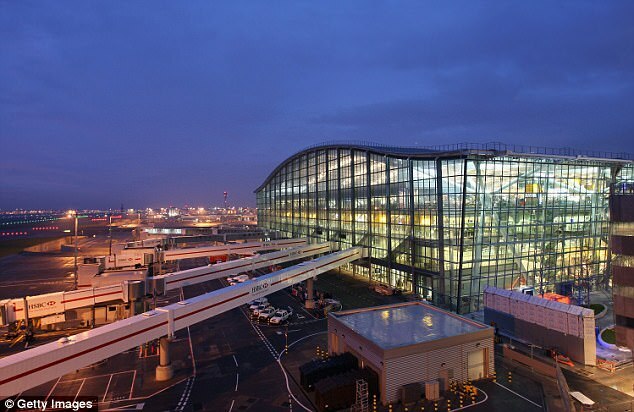 Tadesse Kersmo, 51, was arrested by counter terrorism officers at London Heathrow Airport in September last year on an inbound flight from Eritrea, via Cairo. Snaresbrook Crown Court today heard the Ethiopian national collected military-themed documents about guerrilla warfare tactics, including one called ‘Put ’em down Take ’em Out Knife Fighting’. Within a file marked ‘military’ on his hard drive he had a manual on US Navy Seal sniper training, jurors were told. Downloaded on May 11th, 2016, it contained information on hitting moving targets, shooting at night, weapons and training schedules. Asked why he would download such a manual, Kersmo told police: ‘Well simply interested and I found them because they’re there, I don’t know actually, actually I cannot explain. He denied downloading it to train himself or others to be snipers, and said he had no skills with weapons. He is alleged to have been a prominent critic of his country’s government before he fled to the United Kingdom and was granted asylum in 2009. He was charged with seven counts of possessing articles containing information likely to be useful to terrorists and one count of attending a training camp. The charges he faces relate to activity for an overseas Ethiopian political movement. A file on his hard drive, called ‘Combat Manual’, subdivided into sections called ‘Hand-to-Hand Fighting’, ‘Knife Fighting’, ‘Knife Throwing’ and ‘Marksmanship’. One file, a book called Put ‘Em Down Take ‘Em Out, written by a former inmate of maximum security Folsom Prison in California, was downloaded on May 12 last year. The manual contained guidance on knife attacks, including carrying out a practice drill on a dummy with a real knife. Prosecutor Barnaby Jameson said: ‘It’s another publication focused on killing people. And a guide that gives advice on attacking a dummy with a real knife is not simply a self-defence manual. Kersmo also had on his hard drive ‘The Compilation of Security and Intelligence Principles’ believed to be by Jihadist group ‘Hizb Tawheed wal Qitaal’. Jurors heard it contained information on espionage, surveillance, military training, weapons and operations, and had an image of the 9/11 attack on the Twin Towers on the front. Kersmo told police he was surprised it was there as generally he did not like Islamic extremists, but he wanted to learn intelligence, the court was told. Mr Jameson said: ‘To his students there was nothing to suggest the defendant was anything more than a peaceable academic with a passionate interest in the politics of Ethiopia. ‘Certainly, there was nothing to suggest a man involved in political violence or, to put it another way, a man involved in terrorism. Describing Kersmo to the jury, Mr Jameson said he was born on May 5, 1966, and lived in Ethiopia until 2009 when, ‘as a prominent critic of the Ethiopian government, he fled to the United Kingdom’. The prosecutor continued: ‘Since then he has lived in this country, obtaining leave to remain as the husband of an asylum seeker. ‘Among other positions, he worked a job as a lecturer at Greenwich University. Kersmo was allegedly discovered in possession of four military themed documents, including a US Military sniper manual and a mini-manual on how to conduct urban guerrilla warfare. He was caught with the material on two occasions, once on September 27, 2016, and again at Heathrow on January 4. One charge states Kersmo attended a location used for terrorist training and was photographed shaking hands with suspected terrorists. He worked as a senior lecturer at Greenwich School of Management until 2017 and also taught at Greenwich University. Kersmo appeared in the dock wearing a light blue suit, a white shirt and a blue spotted tie for the first day of his trial, provisionally scheduled to last until 21 December. Mr Jameson told the jury of six men and six women that Kersmo ‘did a fair amount of travelling’ and was tracked making flights from Heathrow to Eritrea. The prosecutor said Kersmo made journeys to Eritrea between 5 December 2015 and 27 September 2016. Mr Jameson said that Ethiopia and Eritrea were once a unified block and ‘following a war of independence Eritrea became autonomous in 1993’. ‘Tensions between the two countries remain high, the border has witnessed continuing flare-ups of violence that continue to this day,’ he added. ‘You will have to consider why the defendant was choosing to visit a country that was a neighbour to Ethiopia but not a friend. The prosecutor said that Kersmo was stopped on September 27, 2016, by counter-terrorist officers using their powers under Schedule 7 of the Terrorist Act 2000. Mr Jameson said that one of the devices Kersmo was carrying was an external hard drive and documents ‘of a nature outside economics and business studies’ were discovered. Kersmo, of Seven Sisters Road, north London, denies seven counts of possession of articles containing information of a kind likely to be useful to a person committing or preparing an act of terrorism, contrary to section 58 of the Terrorism Act 2000, and one count of attendance at a place used for terrorist training contrary to section 8 of the Terrorism Act 2006.